March | 2014 | Extollagy! There are some brief moments of church history whose expression in the physical history of these buildings is at once rare and vivid. The decades around 1700 when a recognisable ‘Anglicanism’ begins to emerge, is one: another is the brief window between the Dissolution of the Monasteries, starting in 1536 under Henry VIII, and the imposition of a full-blooded Protestantism just nine years later, under Edward VI. During this time, though the saint’s shrines had been taken down but Catholic liturgy remained in place in all its full-bloodied late medieval pomp. It is precisely this era the modern Anglo-Catholics look to. For many at this time, then, the rescuing of liturgical furnishings from dissolved monasteries for reuse was a perfectly logical thing to do; for some, presumably, based on the assumption that the need for such things was an eternal given, for others perhaps designed to promote their continuance. In all cases the results often take some reading and educated guesswork before you know what it is you are looking at. 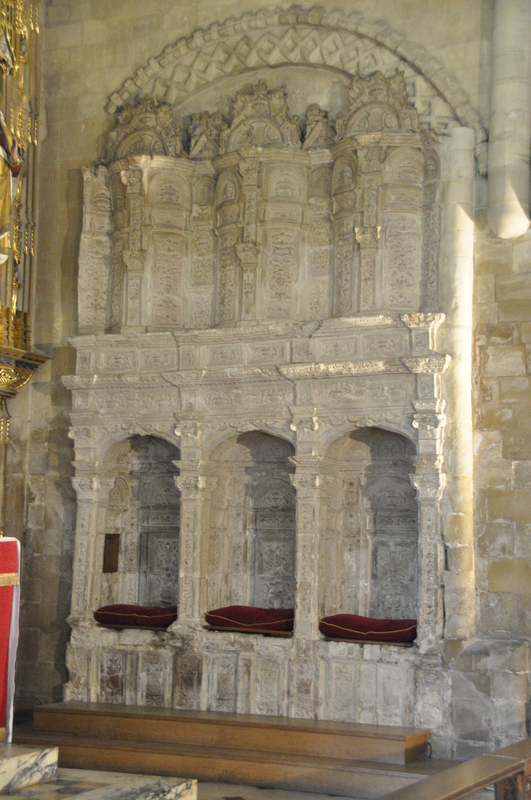 A perfect example is the pulpitum bought by the merchant Thomas White from the dissolved Carthusian friary in Bristol and presented in 1542 to the city’s new cathedral. 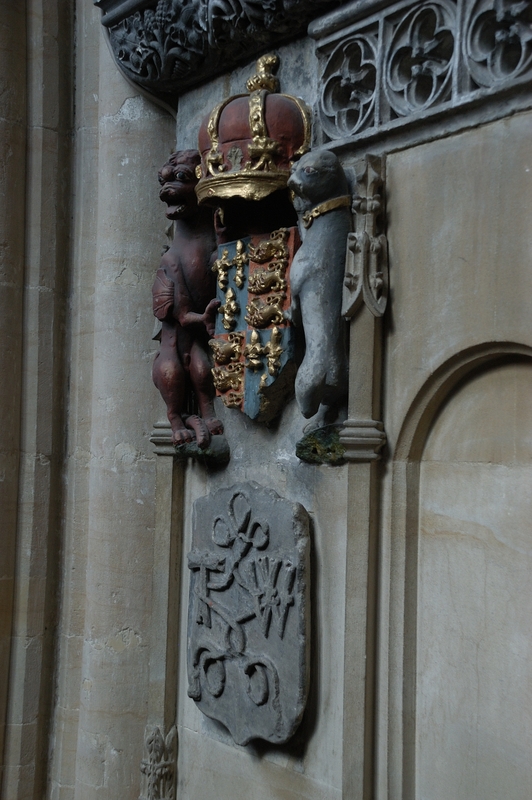 This massive screen, almost a small building, decorated with his merchant’s mark and the coats of arms of Henry VIII and Prince Edward, and emphatically a fitting needed for a church in which the offices were to be sung in an exclusive enclosure rather than one which de-emphasised priesthood and emphasised congregational participation, separated nave from chancel in the cathedral for three hundred years. Fragments of it survive. 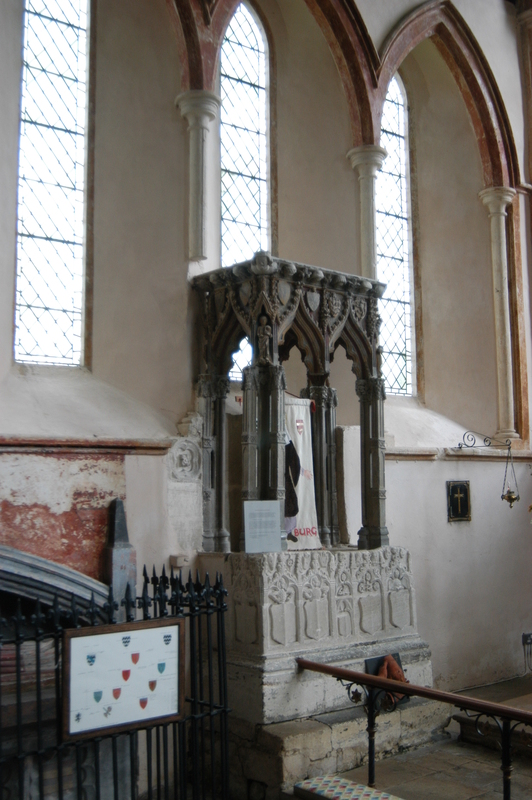 Here are two more circumstantial example: the famous shrine of St Edburg, rescued by persons unknown from Bicester priory and installed on the north side of the chancel at Stanton Harcourt, Oxon, where it was placed on top of a crudely carved platform covered in Christological imagery. It’s been suggested the parishioners intended to use it as an Easter sepulchre, and I buy that. In a decade or so, such theatrical church furnishings would be abandoned. More history written in the ‘dumb’ stones of churches.